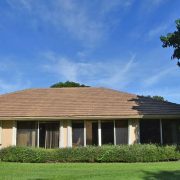 The Club at Ibis in West Palm Beach is the setting for this upgraded and well-maintained home at 6843 Sparrow Hawk Drive. It is move-in ready and well located on a cul-de-sac in Ibis’s newest neighborhood, The Woodlands. The community showcases three Nicklaus family-designed championship golf courses, including the acclaimed Legend course, originally developed and newly renovated in 2017 by golfing great Jack Nicklaus. Send me more about this home in The Club at Ibis! The clubhouse recently underwent a major enhancement and expansion to include banquet accommodations for up to 450. A new sports village, The CORE, includes an innovative fitness center, an aquatics center, a 4,300 square foot spa, and a yoga wall. On the greens and fairways, top golf instruction is headed by Martin Hall, ranked by Golf Digest as one of the game’s Top 50 instructors, and host of Golf Channel’s popular weekly show, School of Golf. Send me more about this home in The Club at Ibis! Choose from a variety of residences including condominiums, villas, single family homes, new construction and custom estates. Prices range from the mid $100s into the millions. 24-hour security from Ibis Public Safety provides peace of mind for the year round or seasonal residents. 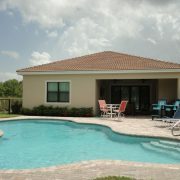 Send me more about this home in The Club at Ibis!